The classic symbol of the tropics, the coconut palm is not only ornamental, but also one of the world's most economically important palms. Coconuts are used for many purposes, and the economies of many countries depend on them for coconut oil, used world-wide in cosmetics, soaps, cooking oils and margarine. 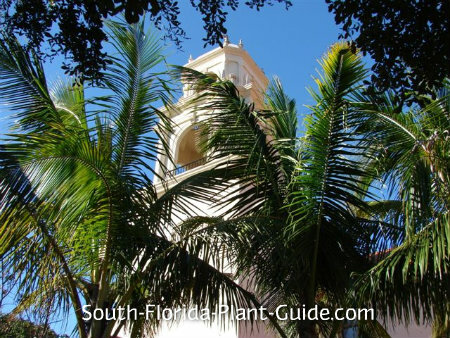 Happiest in warmer and coastal areas of South Florida, these palms make exceptional specimens with their smooth gray trunks and long, feathery fronds. 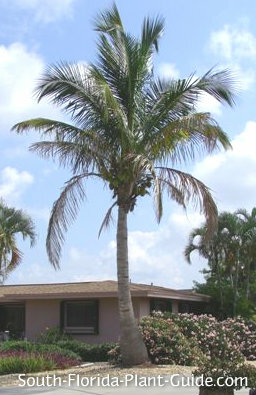 These South Florida palms typically have a bit of curvature to the trunk, adding to their appeal. But those seen in advertising often show extreme curves. 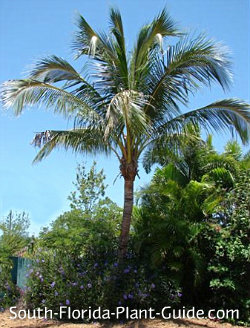 These are known as "character palms" and are actually available for landscape use - for a nice price, of course. A coconut is a single-trunk palm that can grow to 50 feet or more, with a moderate growth rate. It will begin to produce nuts when it's about 6 to 8 years old, fruiting at random times throughout the year. The nuts themselves take about a year to ripen. 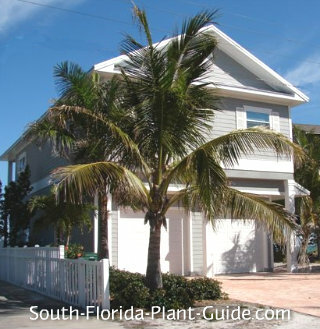 These palms are very salt-tolerant and make perfect beachside plantings. They can be sensitive to cold and do best in Zone 10B and coastal areas of 10A. Coconut palms are said to be deer resistant, though we make no promises. 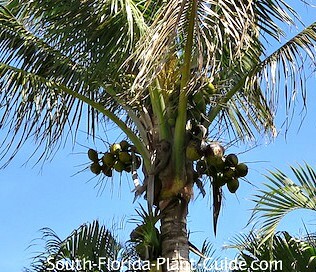 ...coconut palms are just what you need, and not just as shade trees to protect you from the blazing sun. Everything about the palm can be used: coconut meat, milk and oil; fiber from the fruit husks (called "coir"); leaves woven into mats, baskets, clothing, or used for thatch. And the trunks can be used as lumber to build your Robinson Crusoe house. These palms don't like wet feet but they do need a regular drink...one of the reasons they work so well in the hot sun and plenty of rainfall climate of the tropics. Fertilize three times a year - once each in spring, summer and autumn. 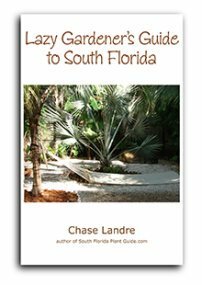 Trim off browned fronds while the palm is young and you can reach them. 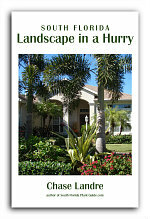 Plant well away from the house - at least 10 feet - to allow the long fronds room to flush out. When planting in a row, space them 8 feet or more apart. This palm tree is not a good candidate for a container...it's much happier outdoors in your sandy soil. 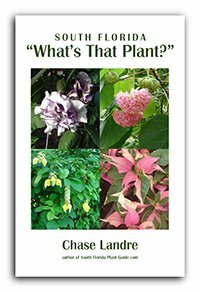 COMPANION PLANT SUGGESTIONS: Lower-growing plants that won't detract from the palm's shape and beauty - including salt-tolerant ones like Muhly grass, railroad vine, Indian hawthorne, and dwarf oleander.